Spain is headed toward early parliamentary elections on November 20. 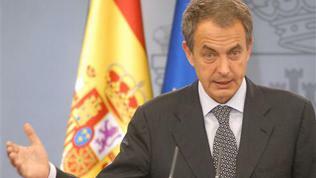 Prime Minister Jose Luis Rodriguez Zapatero defended his decision to hold elections four months earlier, saying that it was “advisable” the new government to take its responsibilities from the beginning of next year. Mr Zapatero himself will not run again – the Socialist party will be led by former interior minister and deputy prime minister Alfredo Perez Rubakalba, who recently resigned to focus on his campaign. The Spanish Prime Minister explained that he had chosen the date November 20 because several key laws were to be approved by then, as a part of the reforms policy Zapatero's cabinet initiated last year. Unlike the Greek government, for example, the Spanish authorities not only succeed in passing the needed legislation through Parliament, but in implementing severe economic and social reforms too. The biggest problem of the country still is the record high (above 20%) unemployment, but the first signs of economic recovery have been noticed already. As noted by both the European Commission and the IMF, the country faces serious challenges in terms of fiscal discipline at the local level, stabilisation of the banking sector and structural reforms, especially in the labour market. It is a fact, that the serious budget cuts and painful reforms were met with mass protests and in the local elections in May the Socialist Party marked its worst result in 30 years. But it is also true that the reforms were absolutely inevitable and they would be far more bearable if they had not been delayed for years. And it is also true that this could hardly have had a different price than the "head" of the government, although it is certain that the next rulers will continue the same path. 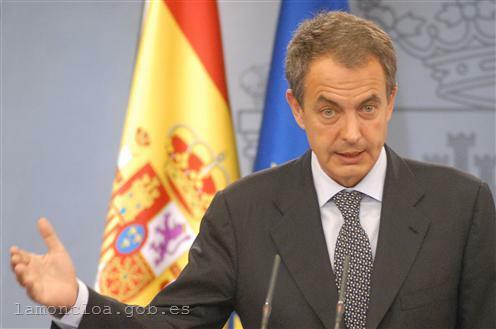 Besides trying to reduce his Socialist Party's losses to a minimum, Mr Zapatero may have another reason to resort to early elections - to win investors' confidence. Although the financial markets obviously treat Spain much more favourably than Greece, for example, the pressure on the country is constantly growing. Its loan price surpassed the psychological barrier of 6% and many believe that Spain would not sustain the pressure for long, especially given the low growth and high unemployment. But definitely decisive influence is being exercised by the Greek debt crisis, and especially the attempts by the European leaders to solve it. The latest example are the decisions adopted at the euro area summit on 21 July. The news that an agreement has been reached with private creditors to bear some of the losses in restructuring the Greek debt was assessed negatively by the Moody's rating agency. It immediately downgraded Greece, followed by Standard & Poor's. The agency warned that “if and when the debt exchanges occur, Moody's would define this as a default by the Greek government on its public debt”. Moreover, according to the agency, the decision of the eurozone leaders ”sets a precedent for private sector participation in future sovereign debt restructurings in the euro area” and its “negatives will outweigh the positives” for creditors to countries with high debt and deficit. As a result, Moody's has begun a review of the Spanish credit rating for possible downgrade. The consequences of the euro leaders decisions regarding to Greece will be taken into consideration, as well as the domestic risks related to fiscal challenges and low economic growth. Spain is far far from the “leaders” in the euro area in terms of indebtedness (its public debt is only 67% of GDP), but there is a serious budget deficit - the government achieved its goal to reduce the 2010 deficit to 9.2% from 11% in 2009 and plans to lower it to the limit of 3 percent of GDP in 2013. Performance at the local level, however, is far from being as good as at the central one. The credit rating of 6 Spanish regions was reduced by Moody's exactly because of their poor financial condition. Commentators are divided in their forecasts whether the change of government in Spain will boost market confidence. 4 months before the elections, the opposition center-right People's Party leads by 14 points ahead of the Socialists, a survey from the recent days shows. According to many, a future governance of the People's Party, a member of the European People's Party, would have a good image-making effect (the majority of the EU member states are currently ruled by parties of the EPP family) and would win the support of the business. It is also beyond dispute that the confidence of voters in the present government is nearly at the freezing point, and the challenges facing the country require a firm and resolute hand, supported by a majority of the citizens.